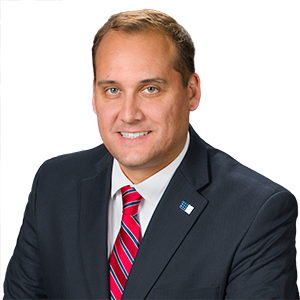 Biography - Senator Wayne Langerholc, Jr.
A lifelong resident of Cambria County, Wayne Langerholc, Jr. was elected to the Pennsylvania Senate in November 2016. In the 2019-2020 session, he serves as the chairman of the Senate Communications & Technology Committee, and is the vice-chairman of the Judiciary Committee. He also serves on the Appropriations, Games & Fisheries, Local Government, and Transportation Committees. Wayne dedicated his career to protecting families and seeking justice for innocent victims of crime as a Cambria County Assistant District Attorney. He also worked to protect local taxpayers while serving as a Richland Township supervisor. As alifelong resident of Richland Township, in the heart of the 35th Senatorial District, Wayne understands the opportunities and challenges faced by the region and the Commonwealth, and has fought for jobs, government reform, and public safety. As an Assistant District Attorney, Wayne served as the lead prosecutor for the Cambria County Drug Task Force, where he maintained an unblemished 100% felony trial conviction record while working to keep our families and children safe. He earned a reputation as being tough on violent offenders, compassionate toward crime victims, and dedicated to teaching our children the dangers of drugs and alcohol. His legislative priorities remains fighting crime and curbing the heroin and opioid drug epidemic. A proven fiscal conservative, Wayne is a graduate of Richland High School, Juniata College, and Widener School of Law. He and his wife, Cortney have three daughters. The 35th District includes all of Cambria County, Bedford County, and parts of Clearfield County.